It's that time of year again - Tax Season! The first step is to set aside a day to go through documents and paperwork that you have collected over the year - you may be surprised by what you can submit on your tax return! Look for T4 slips (employment income), official RRSP (Registered Retirement Savings Plan) tax receipts, any charity donation receipts, and any other paperwork or receipts that you think you could claim. Not sure what you should provide? Give your accountant a call to find out what you exactly need, they are there to help! Going the do-it-yourself route? There are tons of online resources that can be extremely helpful. If you have multiple people filing taxes in your house hold try having a separate folder for each person to help keep everything as organized as possible! Do you know the deadlines? March 1, 2019 This was the deadline for contributing to a Registered Retirement Savings Plan. June 15, 2019 Deadline for Self-employed individuals and their spouse/common-law partner to file their returns. Since June 15th, 2019 falls on a Saturday, the CRA is accepting returns until the following Monday on June 17, 2019. 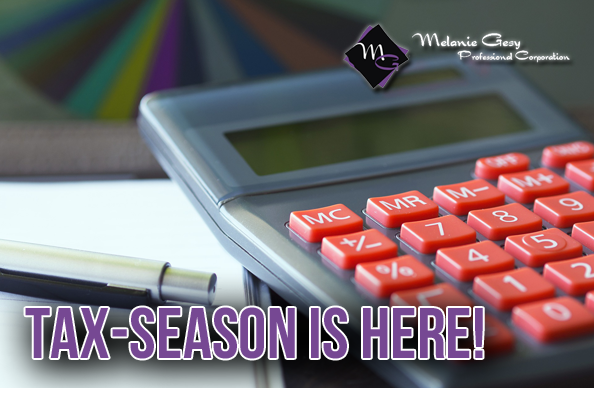 If you owe taxes, they are still due by April 30th, 2019. You do not technically have to file your taxes unless you owe money to the CRA, we highly suggest that you do continue to file every year. If it turns out that you do not owe money it probably means that you will receive a refund, which means money back into your pocket! Filing your taxes every year is just good practice. If you are someone who collects certain benefits (such as the GST credit, Canada Child Benefit, Guaranteed Income Supplement, and many others) then you should keep filing your taxes - tax returns determine if a person qualifies for certain benefits. If you qualified in the past and don't file your taxes you will stop receiving the benefit until you file again. If you don't currently receive these benefits, the only way to know if you qualify to collect it is to file your tax return. How long should I keep my previous returns for? You should keep your tax records for six years! Make sure to keep them somewhere that is easy to grab just in case you ever need them. Taxes can be confusing, especially when they seem to be always changing! Here are 2019 tax changes that you may not know.